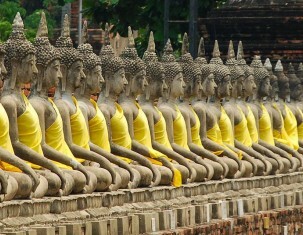 Select a guide to local attractions in Amphoe Phra Nakhon Si Ayutthaya using PrivateGuide Service. A guide to the best German food and where to eat it. Thanks to Private Guide Service in a few clicks you can choose a personal guide to local attractions of Amphoe Phra Nakhon Si Ayutthaya. Just enter your search parameters and see results. Our guides know Amphoe Phra Nakhon Si Ayutthaya and the surrounding region very well, speak the english language and can also help you to communicate better while you are in Thailand. During the tour you will not have problems in communicating with local people. Your personal guide through Amphoe Phra Nakhon Si Ayutthaya will help you learn a lot about the region, and ensure you have a pleasant experience. Check out some of the local sights & attractions, wildlife & nature. Before you travel, be sure to check if you have Thai baht in your pocket!